There are few things more pleasing to a homeowner than curb appeal. 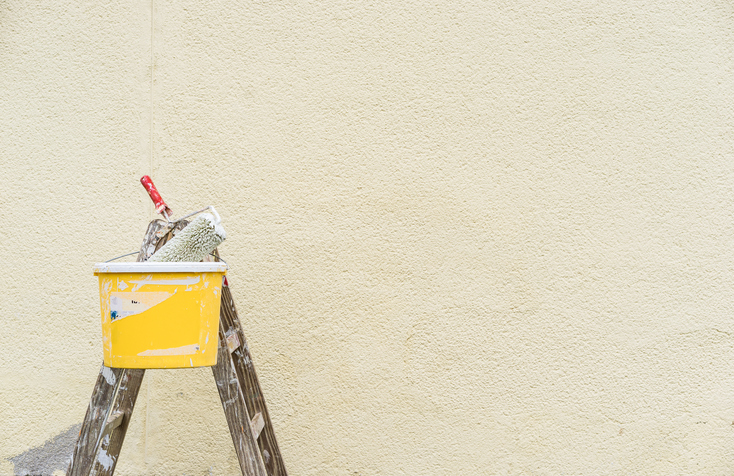 Learning how to make your house look nice doesn’t require the assistance of an expensive professional. Many things can be done when you have a creative mindset, and most of them are relatively inexpensive to accomplish. Let’s take a look at six projects for adding curb appeal. Windows and doors are parts of your home that should evoke warmth. These areas can be a subtle reflection of your home’s atmosphere. What you want to go for is bright and beautiful. 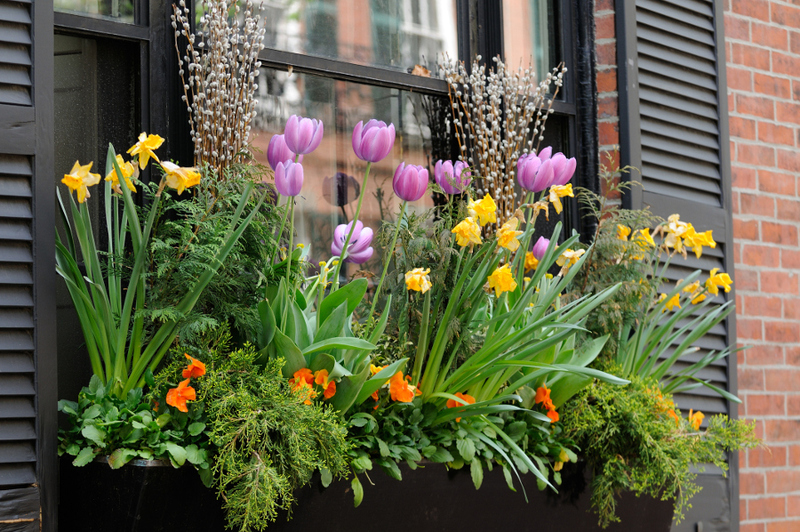 One of the most cost-effective ways to accomplish this is by using window flower boxes. This curb appeal project has many advantages. For starters, you can do the install yourself in just a few hours. Window boxes made of Versatex come assembled, and you can customize the length you need. They can also be painted in whatever color you desire. Another advantage of PVC window boxes is that they give you maximum value for your curb appeal budget. They will last for years without warping or cracking, and there are even self-watering options to choose from. The patio is an often overlooked area of the home when it comes to maintenance. This is the area that tends to attract a lot of clutter. A little organization here can go a long way, and it also pays to consider the placement of patio tiles. Tiles can be somewhat expensive, and installing them can be labor intensive. What you might want to consider is a nice stain. You can purchase coatings for concrete that will give you the same visual effect as tiles at a fraction of the cost. The work is easy to do, and in a single weekend, you can turn your patio from drab to fab. Pathways that lead to the entrance of your home also lead the eye. You can improve the aesthetic of a pathway by using large rectangular planters along the side of a walking path. Filling these planters with colorful flower varieties makes the pathway pop with color. The best choices here are self-watering PVC planters. These planters are more durable and require less maintenance than other types. PVC Outdoor planters have a lifetime guarantee against rot. You can add plants in a single afternoon, and just like magic the pathway to your front door will go from an eyesore to an elegant fixture that boosts curb appeal. Every architectural style can be accented with outside window shutters. Forever Shutters offer a vast improvement over wood or vinyl, and they are super easy to install. They can also be painted in any color that will match the existing design of your home. There are multiple styles of shutters to choose from. You can opt for classic louver composite styles, or you can choose something more modern like a raised panel. Some shutters even come with designs like a fleur de lis or a heart. If you could only do one thing to radically alter how the outside of your home looks, exterior shutters for windows would be a very good choice. Painting is another aspect of curb appeal that is well within the skill set of many homeowners. You can accomplish a great paint job, but the key is planning. Start by thinking about different colors. Many homeowners think exterior paint jobs all need to be light in color. The truth is that nice brown can give your home a more modern feel. Contrast, contrast, contrast. Use your paint scheme to complement the color of window shutters and window boxes. Blend light and dark colors to create a stunning look that will remind those who pass by of a Thomas Kinkade painting. Remember what we said earlier about doors and windows? The same thing applies to your garage door. It’s a focal point that attracts a lot of looks. Unfortunately, it’s also one of the most neglected areas of the home. Too often the garage door goes unpainted or fails to match the color scheme of the house. Painting isn’t the only way to fix a garage door. You can also add lighting fixtures. A few hanging plants may also be in order. Those outdoor planters we spoke of also make nice additions to either side of a garage. This is an area where you can get very creative. Don’t be afraid to explore the possibilities. As you can see, adding curb appeal can be done on a budget with a minimum of labor. Embrace these projects as an opportunity to get your entire family involved in the beautification of your home.